INEC announces the summary dismissal of two staff for acts of gross misconduct over Governor Yahaya Bello’s double registration – Royal Times of Nigeria. The Independent National Electoral Commission, INEC, has dismissed two of its staffers accused of being involved in the double registration of Yahaya Bello, governor of Kogi state. A national commissioner of INEC, May Agbmuche-Mbu, made the announcement in a statement saying, “Following reports of the alleged double registration by the Governor of Kogi State in the on-going Continuous Voter Registration (CVR) exercise, the Commission set up a panel of investigation into the involvement of staff in the matter. The initial report submitted by the panel was referred to the Appointment, Promotion and Disciplinary Committee, which made recommendations to the Commission. 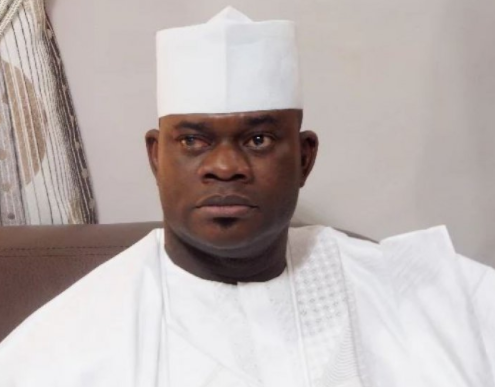 While the Governor of Kogi State currently enjoys immunity from prosecution, the Commission took the following decisions in respect of its own staff: Summary dismissal of two staff for acts of gross misconduct and Immediate and compulsory retirement of an Electoral Officer for act of gross misconduct”. It could be recalled that Bello, who had registered as a voter in the federal capital territory, FCT, was said to have re-registered in Kogi state during the continuous voter registration exercise in May and INEC had set up a panel to investigate the issue. Bello had since denied the allegation, it was probably his ghost which voted. He had told state house correspondents,“I travelled to Dubai on May 19 for a brief break and I saw the press release that I did a double registration on (May) 23, probably it is my ghost that must have done the double registration,”.